Blank is a radical ceremony that performs a rupture between past and present; it aims to break the past away from the present in an attempt to invent a new space for the future. By selecting random ready-made objects gathered* throughout the years in what can only be described as a domestic museum, the artist proceeds in painting them white before placing them in a white space. The ritual therefore entails a removal of pieces from the past, an act of cleansing by painting that partly removes their identity, and their repositioning into a designated non-space, a blank space of full potentiality. By painting the object white the ritual organically connects the materiality of the object’s surface with the spirituality of the act of cleanliness – white paint becomes pure spirit. To move them from one particular place (the attic of the artist’s house) to this non-place gives the performance an open ending thus creating a tabula rasa for the full potentiality for the future. ** White representing the light, which is formed from all the colors, white is non-restrictive space; it is the symbol for openness to healing past traumas and reinventing a future where each of us has a chance, no matter the color. Blank is inviting everyone to introspection and a change that will start with our personal space (home), mind, by giving up useless thoughts of negativity, hatred or fear. When we ourselves will be freed from the burden of fear, only then we can truly contribute to a future that will give space to everyone to manifest themselves. 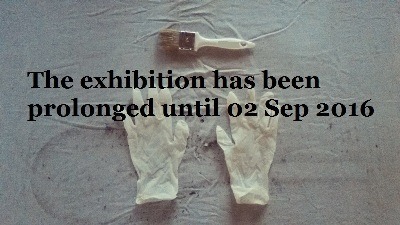 Anca-Raluca quitted Art History at University of Arts Bucharest after a failed exam on the object of museology. It was then when she sensed how erroneous the educational system in Romania was, and how much it worked against the true formation of a future artist, or in her personal case of an arts historian. The following years Anca-Raluca pursued a personal research into the subject of human nature in the political and social space of a country, and now she is interested in farming, and the dynamics of small communities and their specific living and working spaces. Anca-Raluca is a part of a group Biserika. She lives and works in Arad. 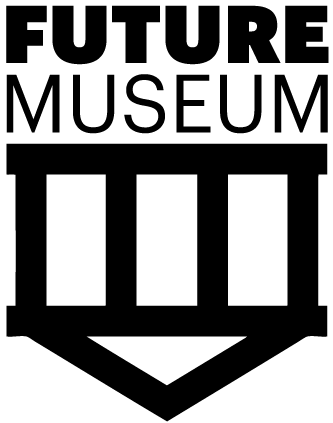 The exhibition is supported by Future Museum, a newly established platform based on a system of open call commissions. All artists and curators based in Romania and Moldova are invited to submit project proposals which will be selected by an international board. The ethos of the museum is a belief in unexplored concepts, uncharted intentions, unknown phenomena, undiscovered schemes and unprecedented theories. Event organized by the Czech Centre in Bucharest. Media partners: Revista Arta & The Re:Art Event.